In the 1880s and 1890s, materialism in art was counterbalanced by attention to the subjective individual experience, expressed in the new modes inaugurated by Symbolism, Decadence and Aestheticism. In particular, Decadent artists and writers inspired the lasting name of an age fascinated by the contemplation of luxury and decay: the fin de siècle. Notions of decadence and degeneration were not limited to aesthetic experience but were regarded as sociological phenomena and attained pseudoscientific status. 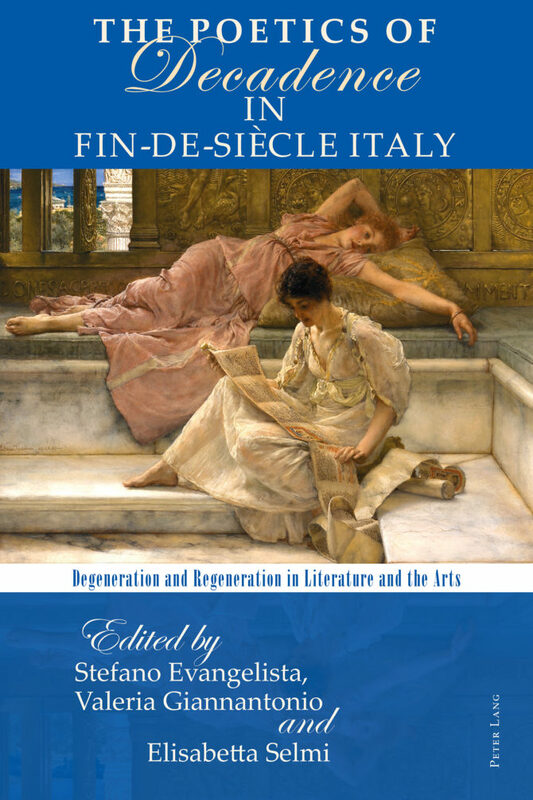 This volume explores the themes of degeneration and regeneration in fin-de-siècle Italian culture, collecting together essays by recognized experts as well as younger scholars. The book begins by reflecting on the poetics of decadence, before turning its focus to significant figures of the period and their literary, critical and artistic work, providing analysis from both national and comparative perspectives. Subjects examined include the turn towards idealism of Anna Zuccari, the mysticism and ethics of Fogazzaro, Pascoli and Tolstoy, the influence of German philosophy and European symbolism on Gabriele D’Annunzio’s literary works, the art criticism of Enrico Panzacchi, and the aesthetic regeneration of divas in early Italian cinema.